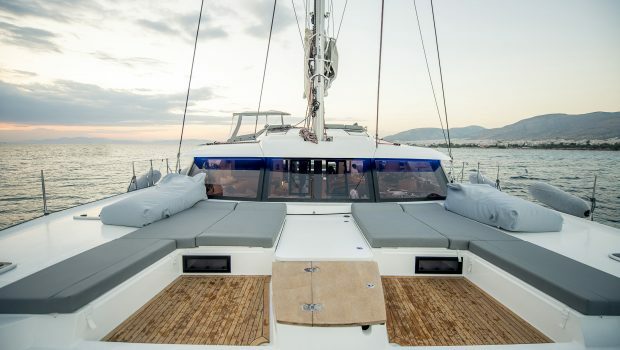 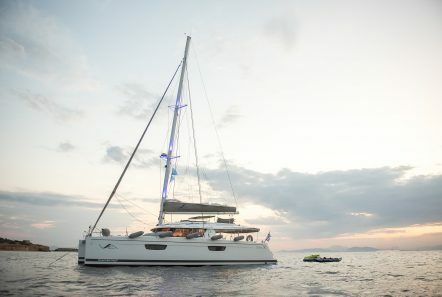 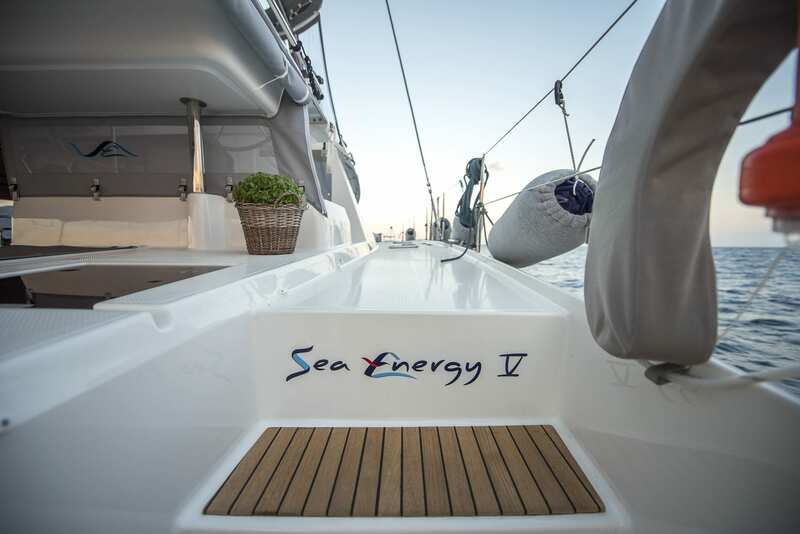 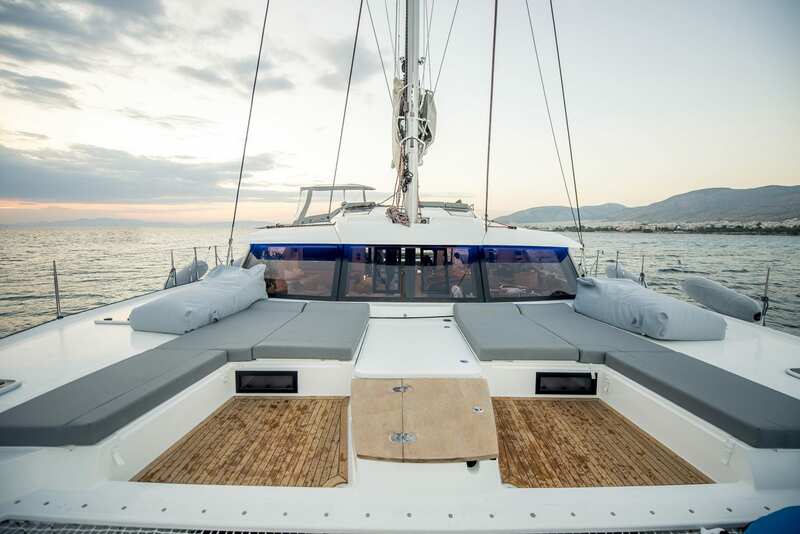 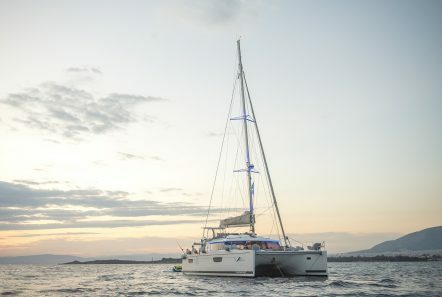 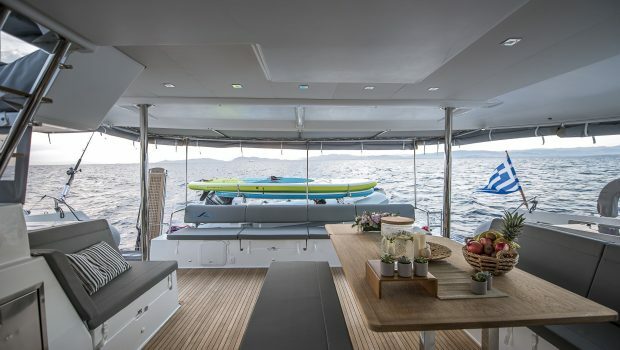 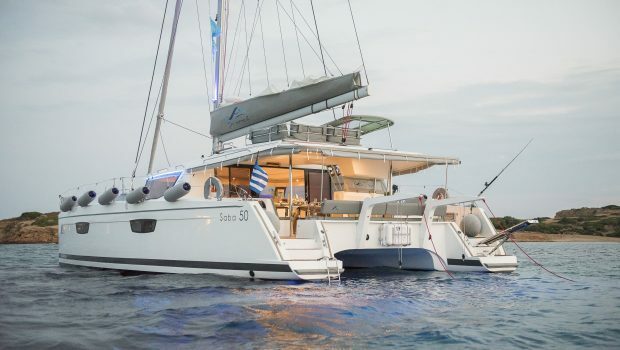 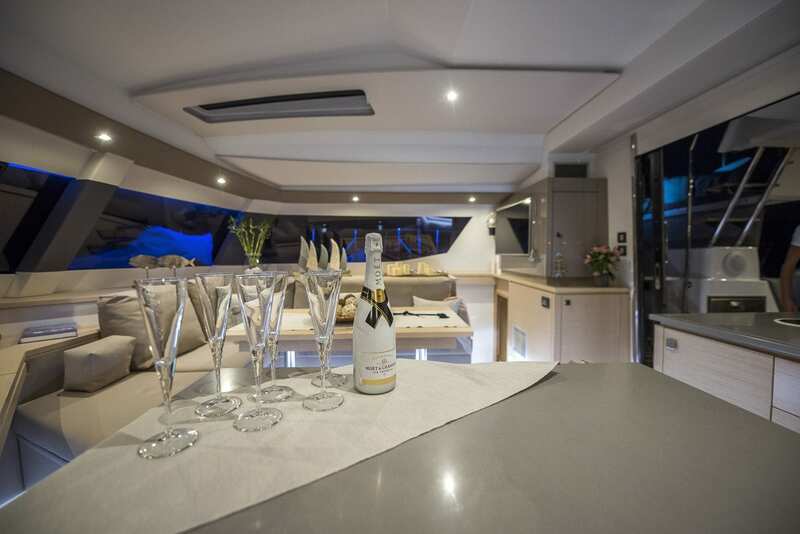 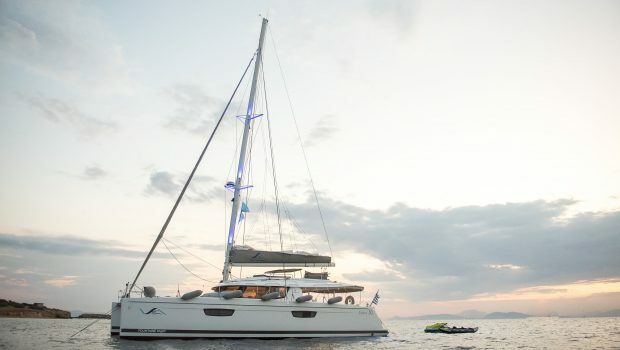 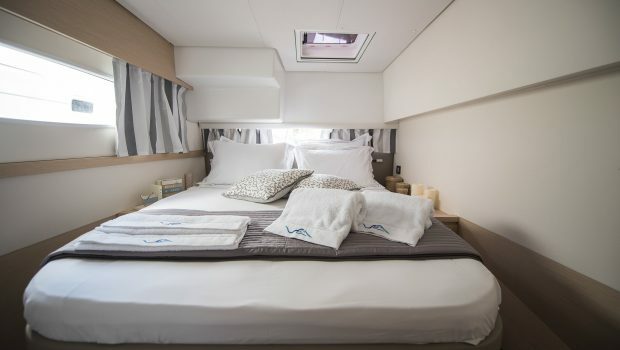 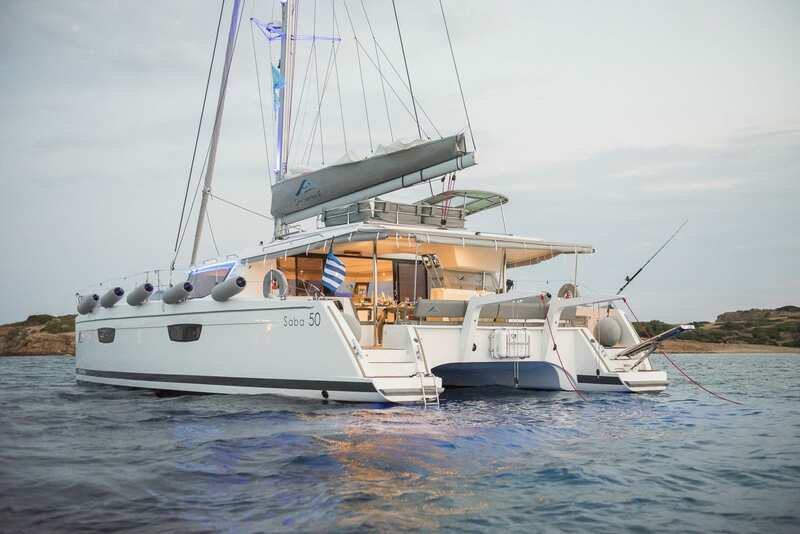 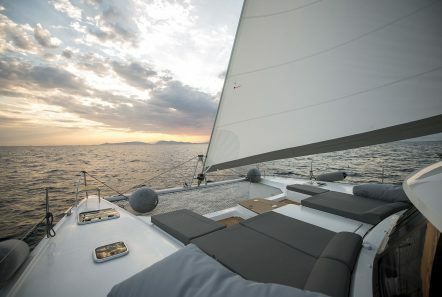 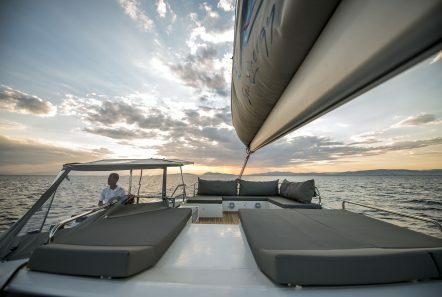 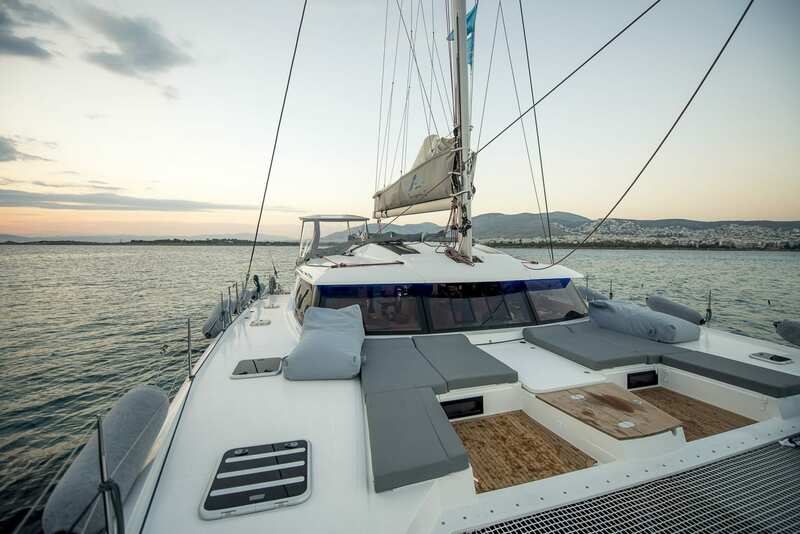 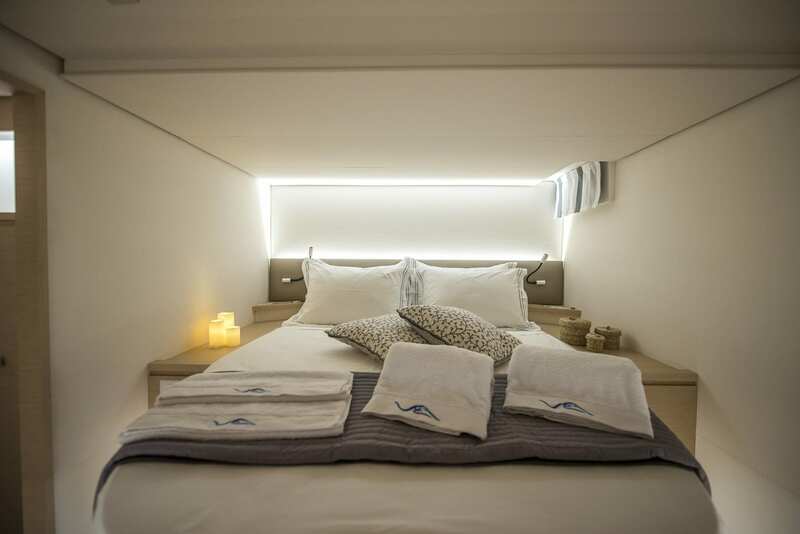 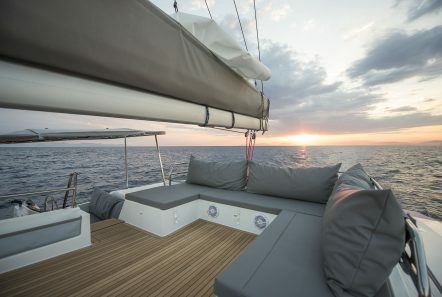 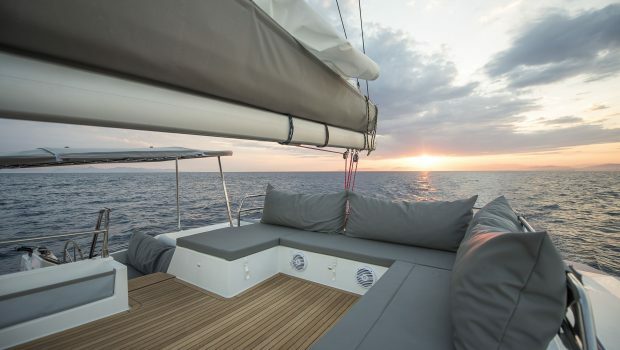 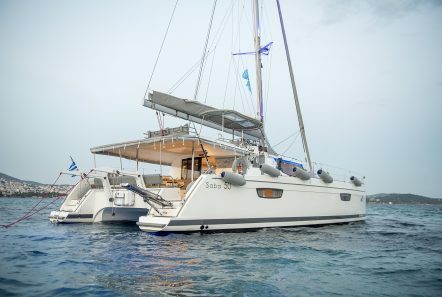 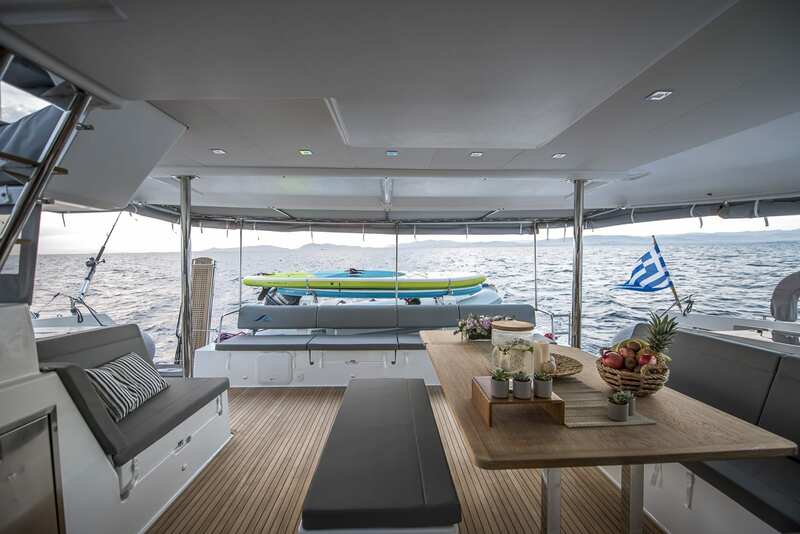 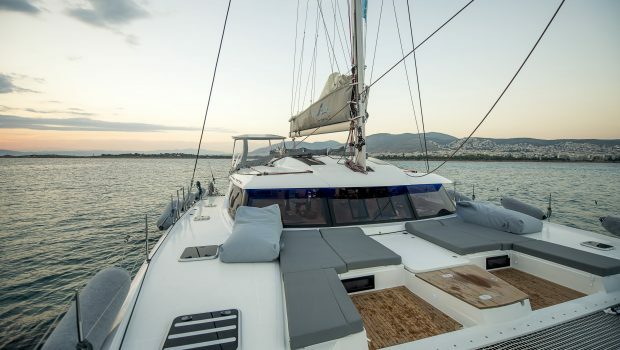 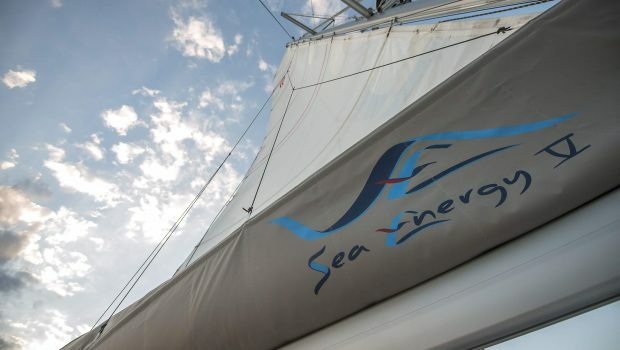 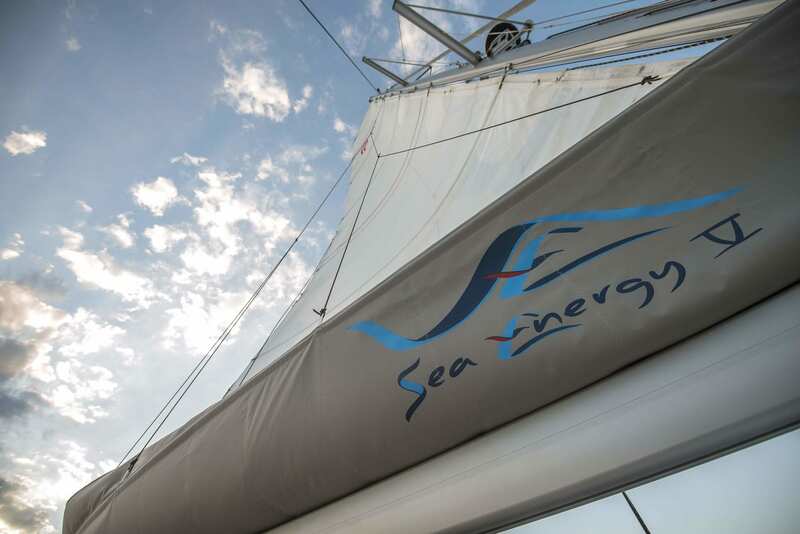 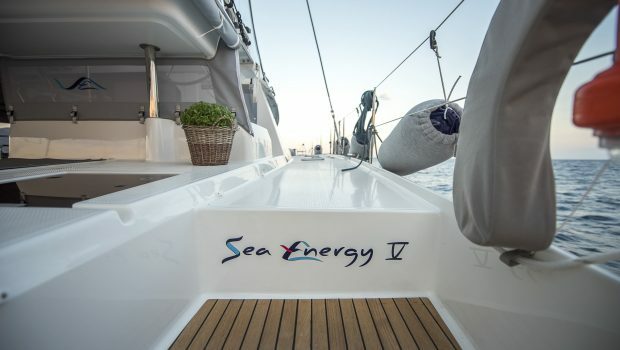 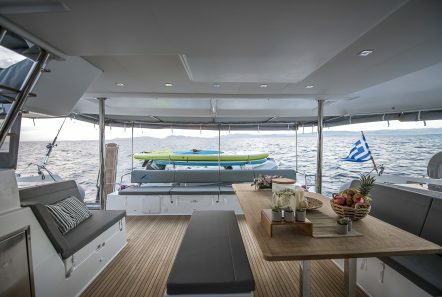 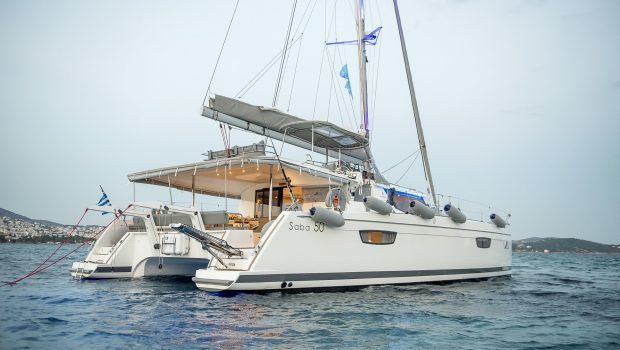 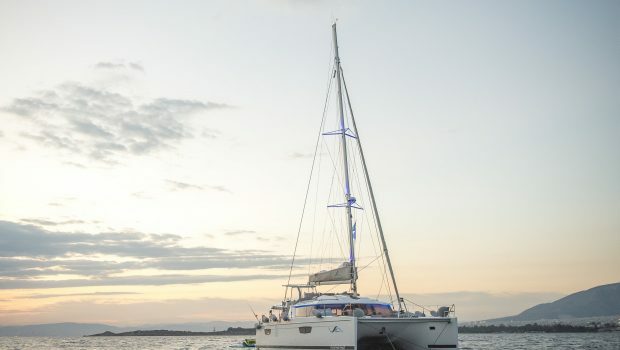 SEA ENERGY V is a wonderful 50 foot catamaran built by Fountaine Pajot. 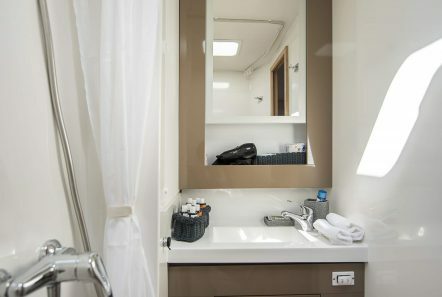 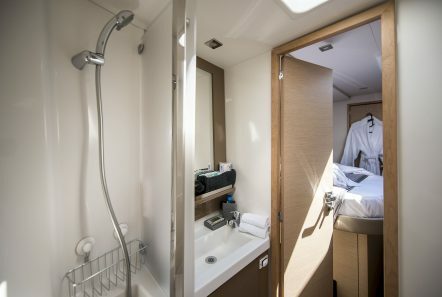 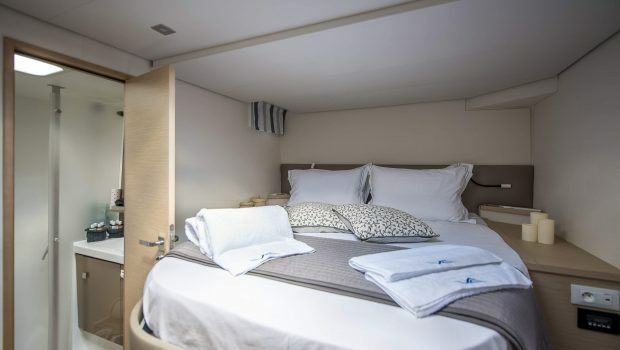 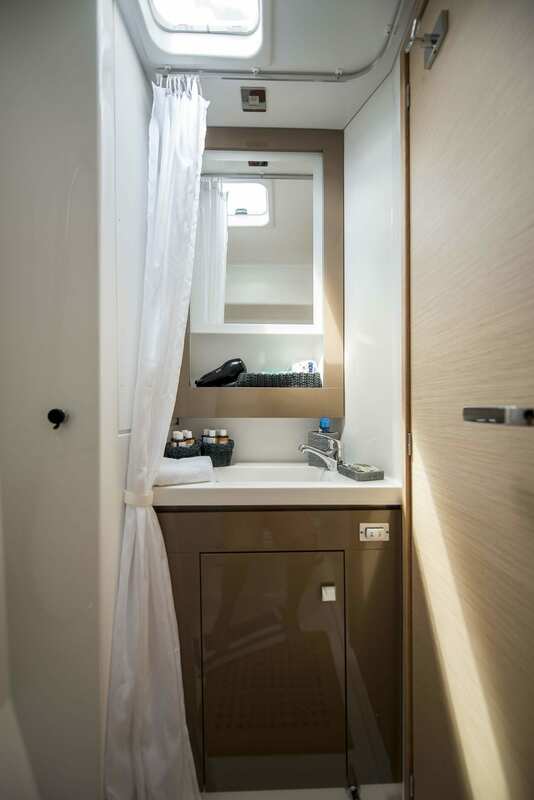 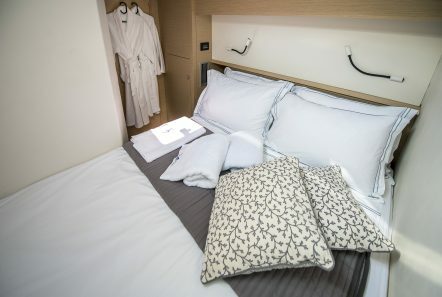 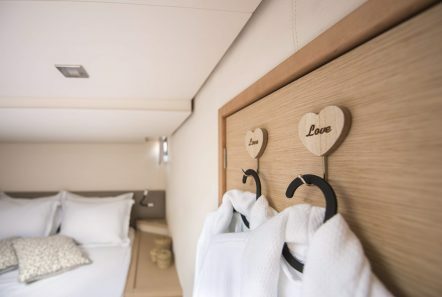 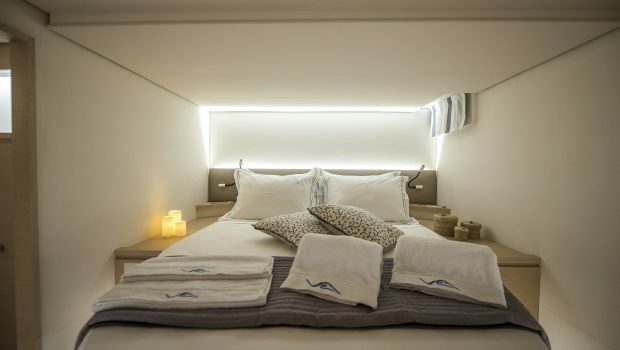 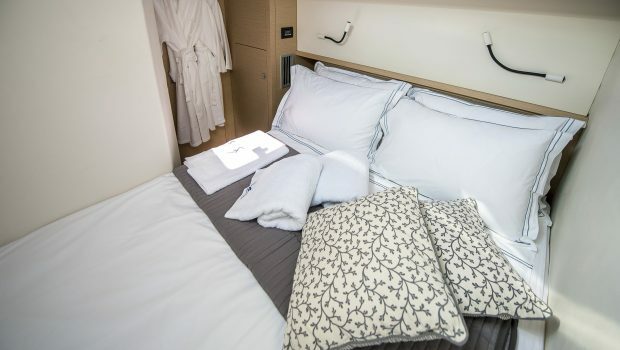 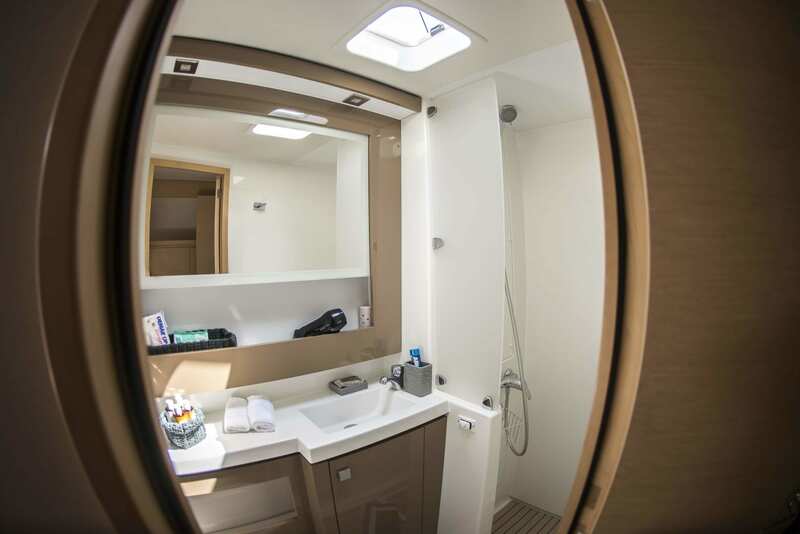 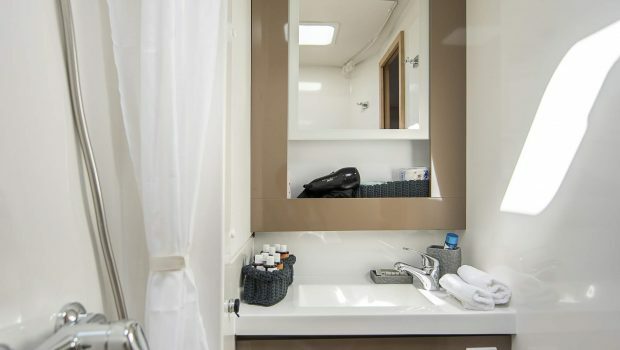 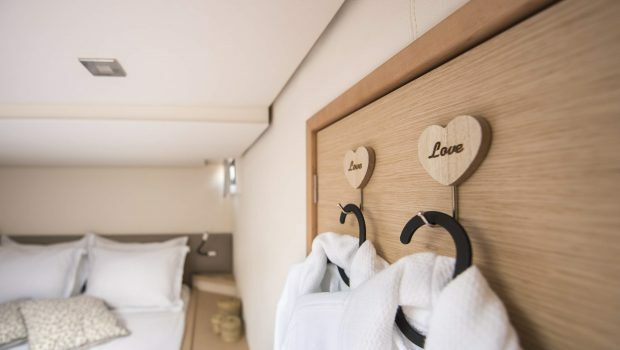 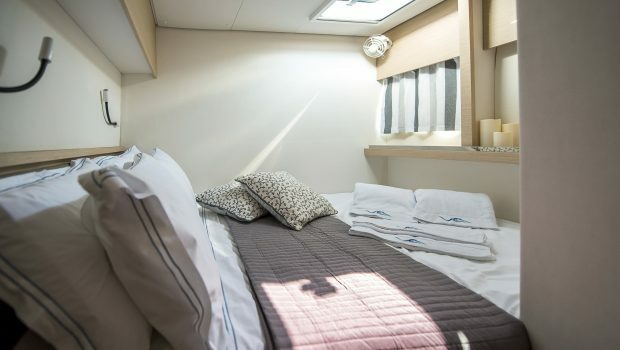 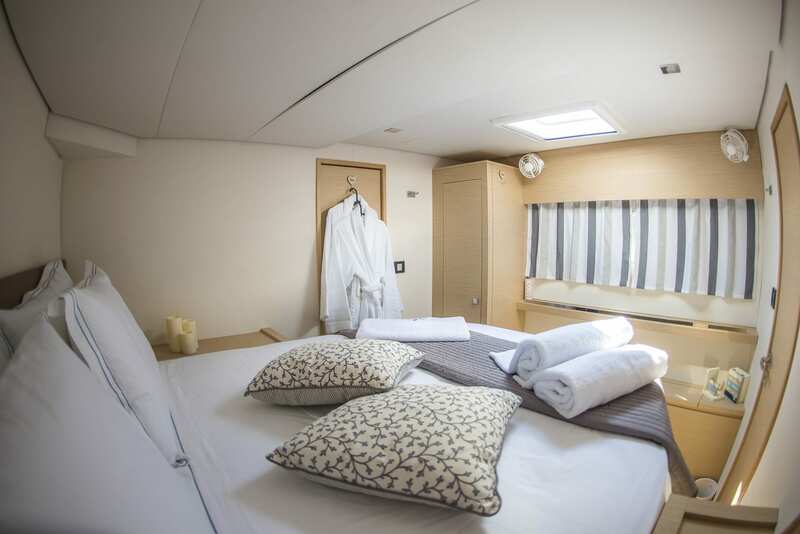 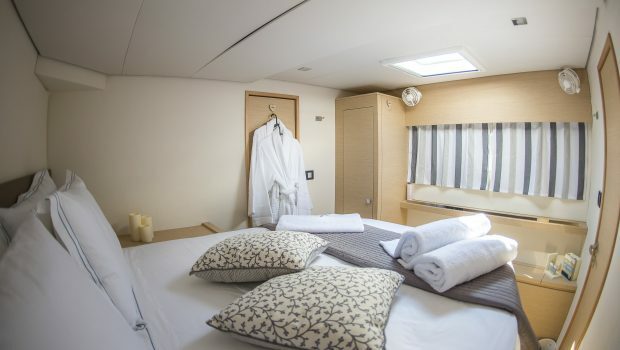 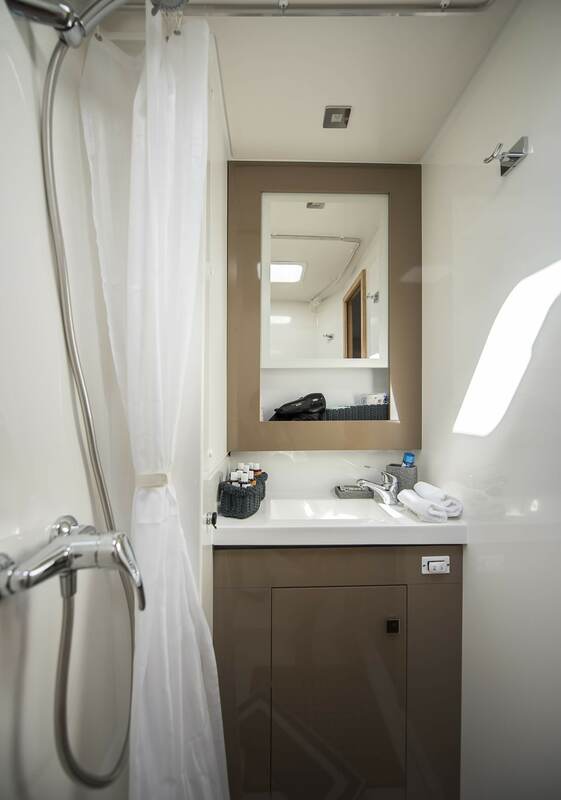 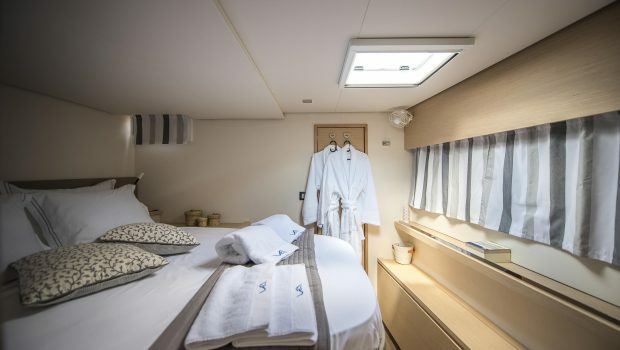 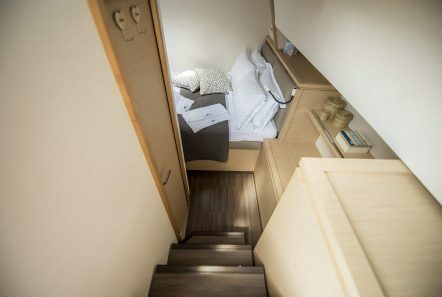 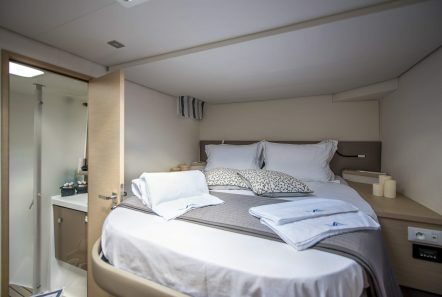 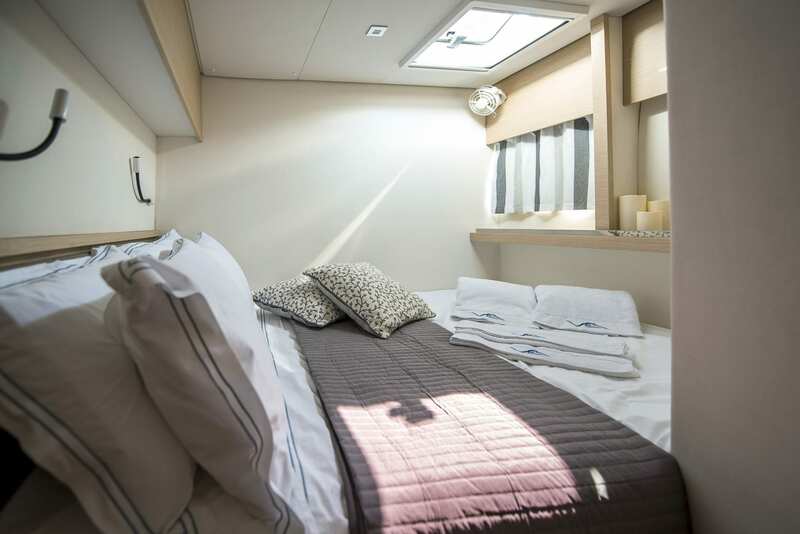 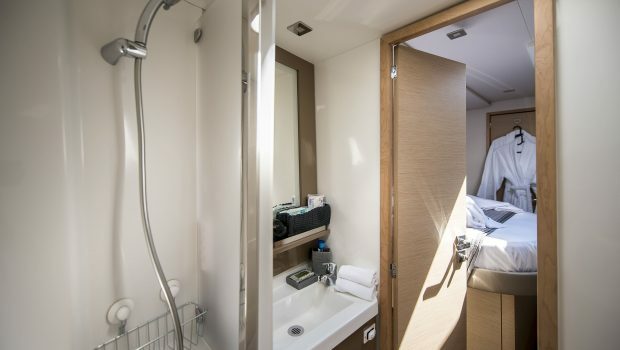 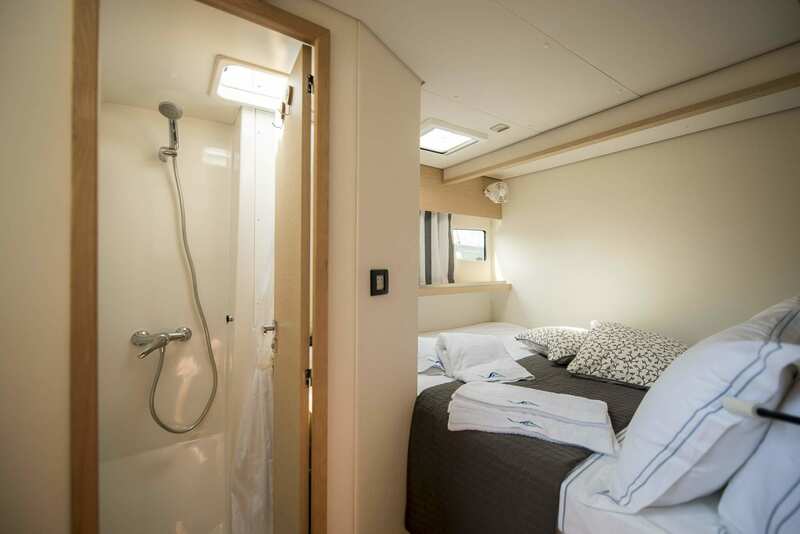 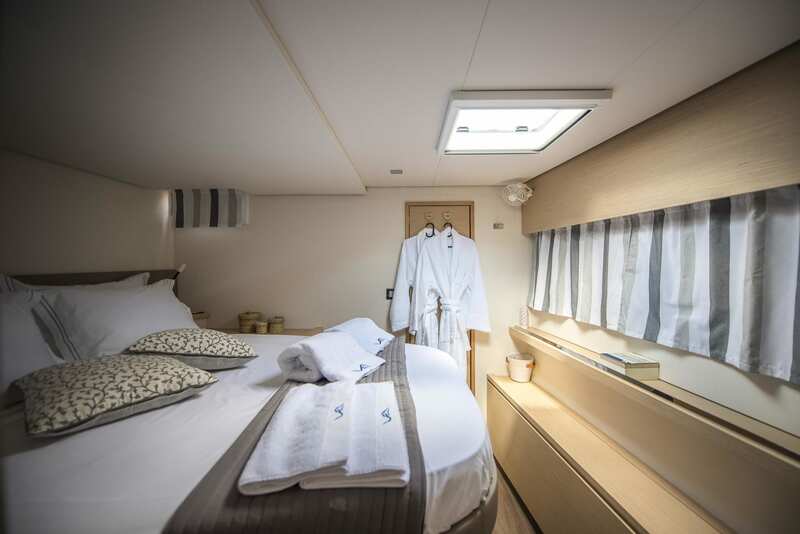 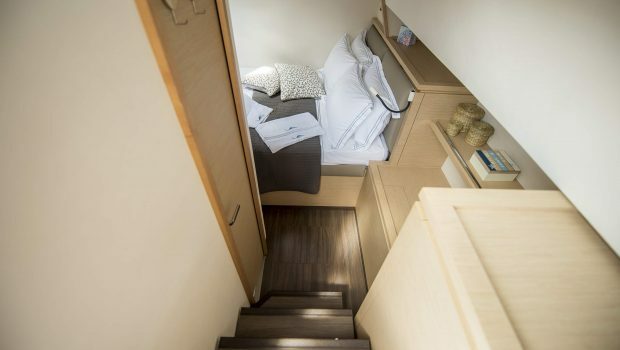 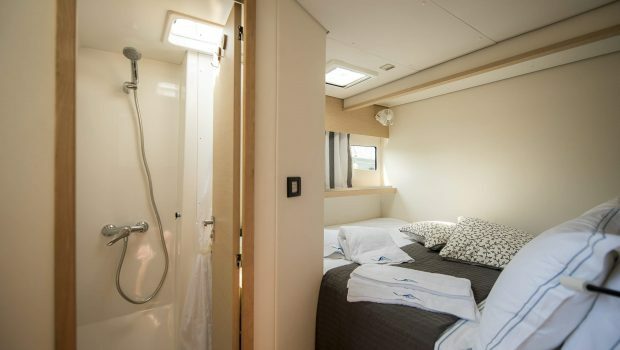 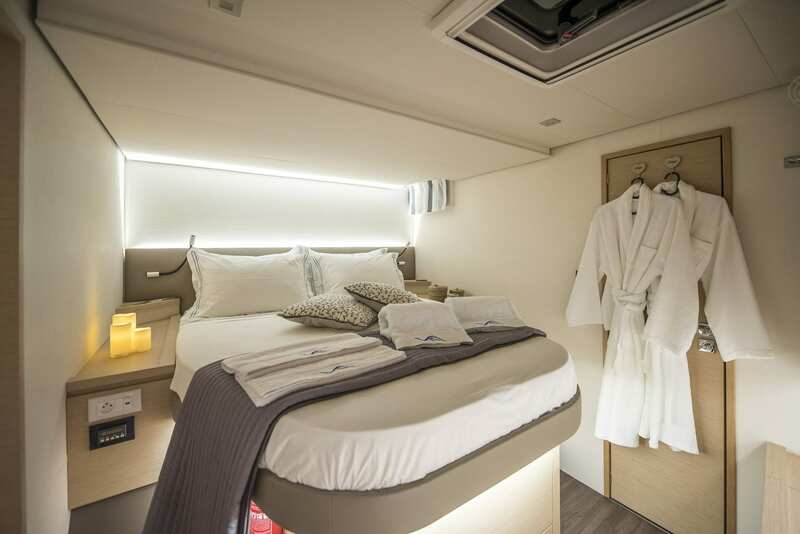 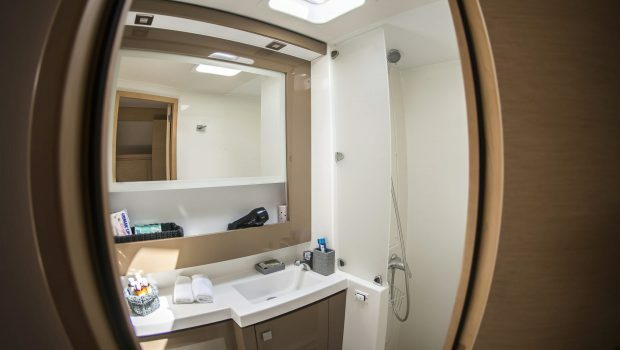 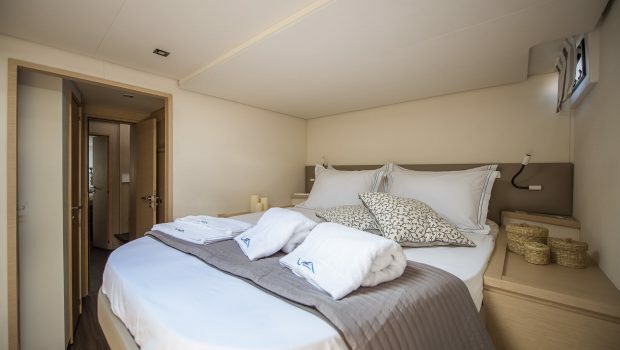 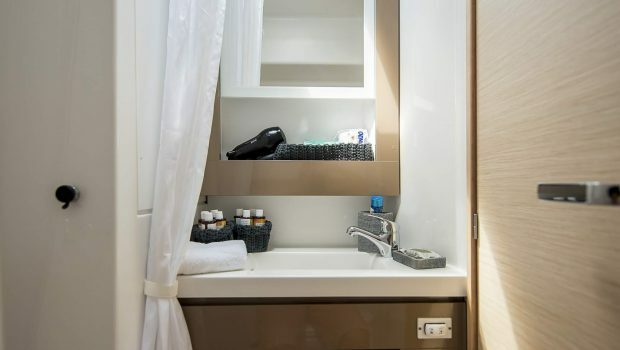 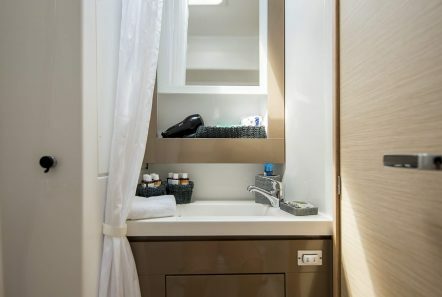 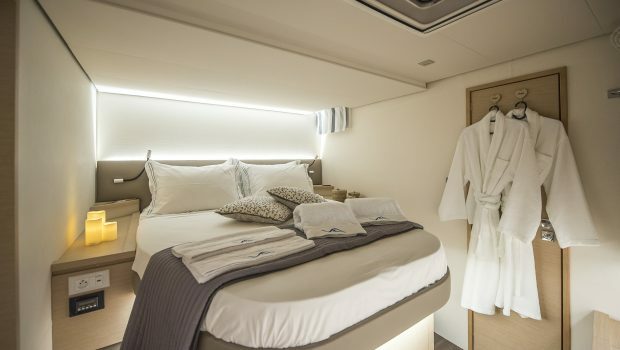 She accommodates up to 10 passengers in 5 lovely Queen bedded staterooms with their own private baths. 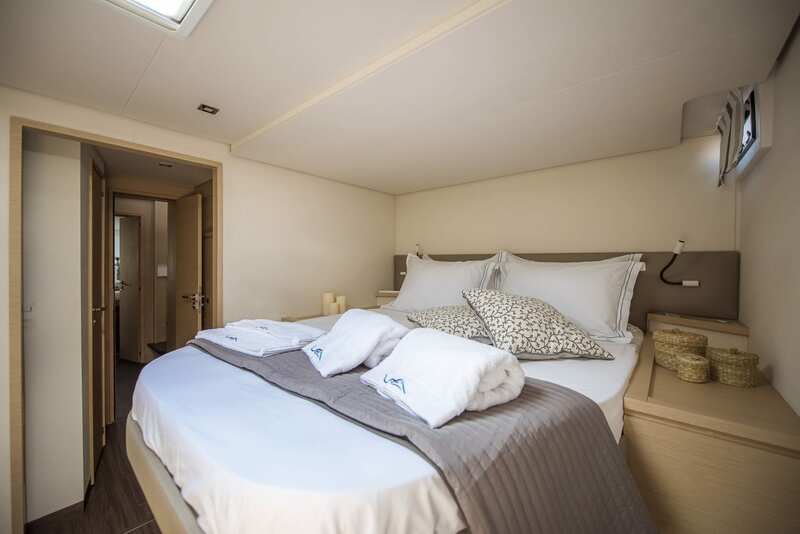 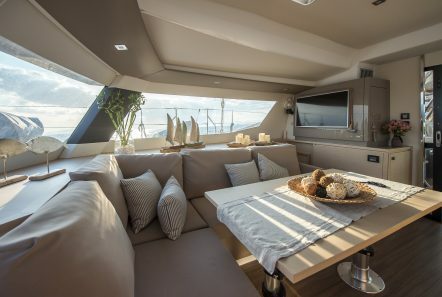 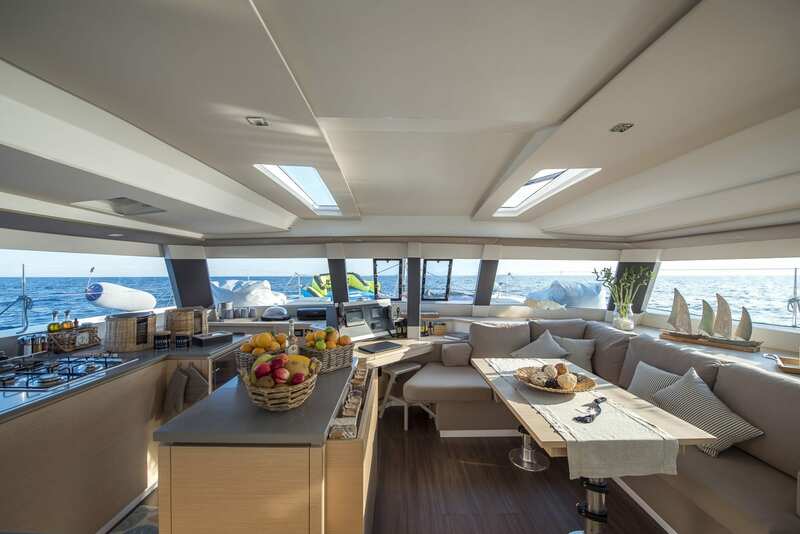 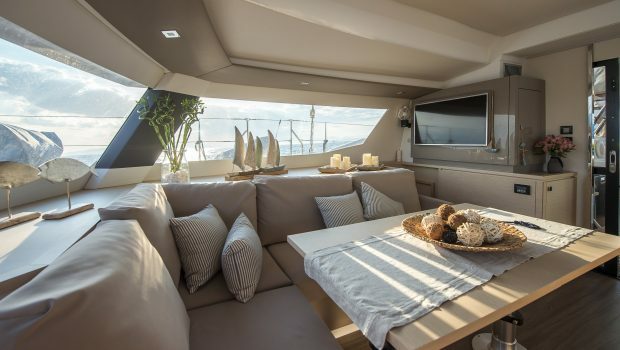 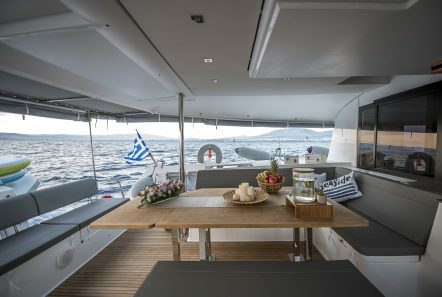 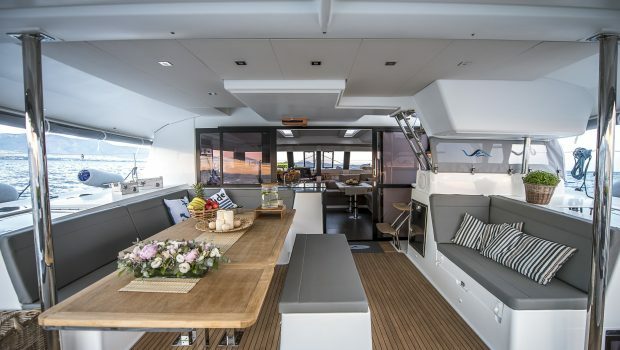 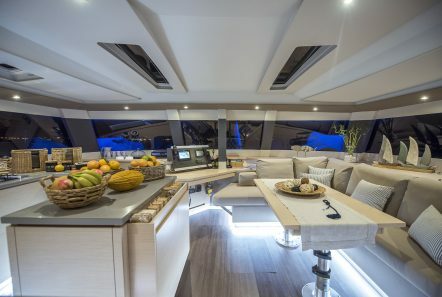 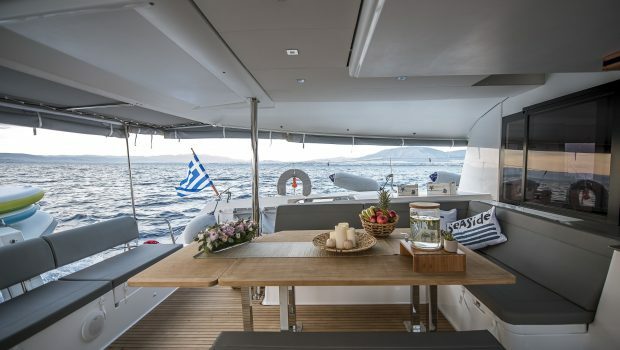 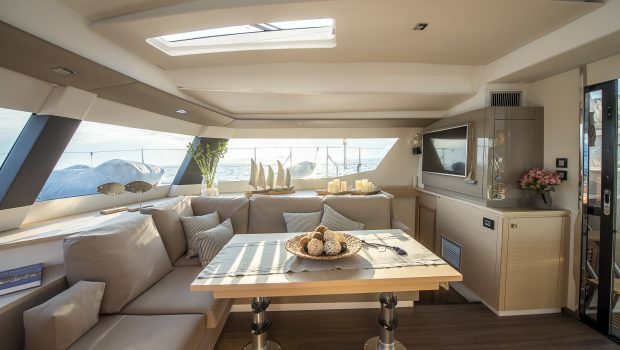 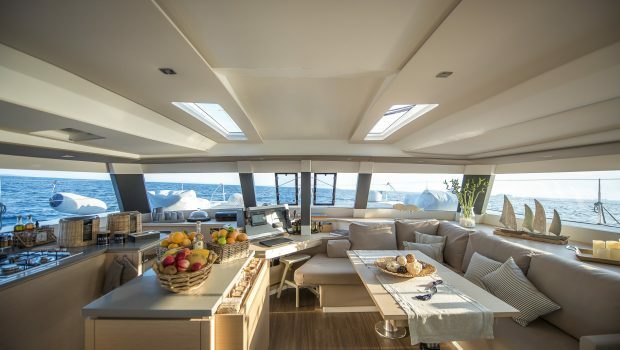 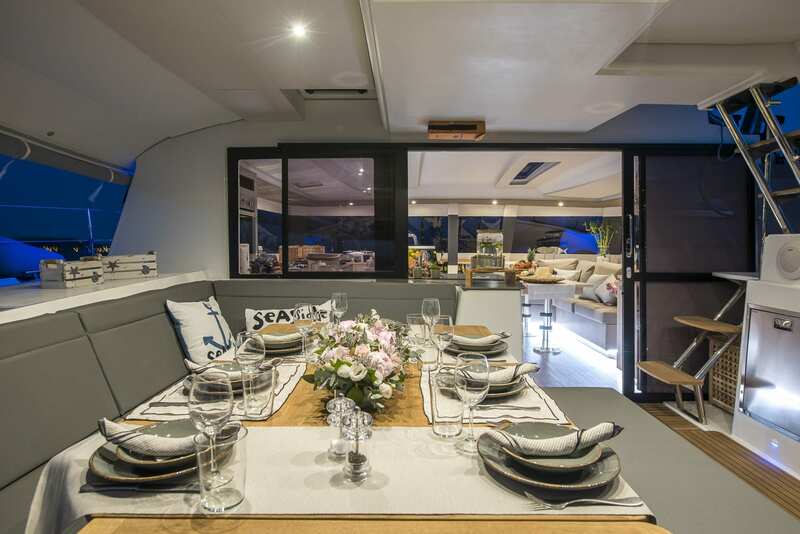 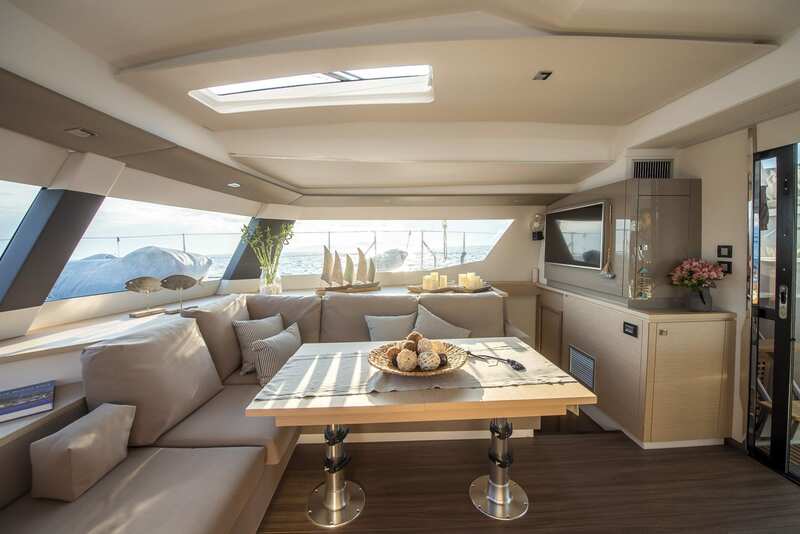 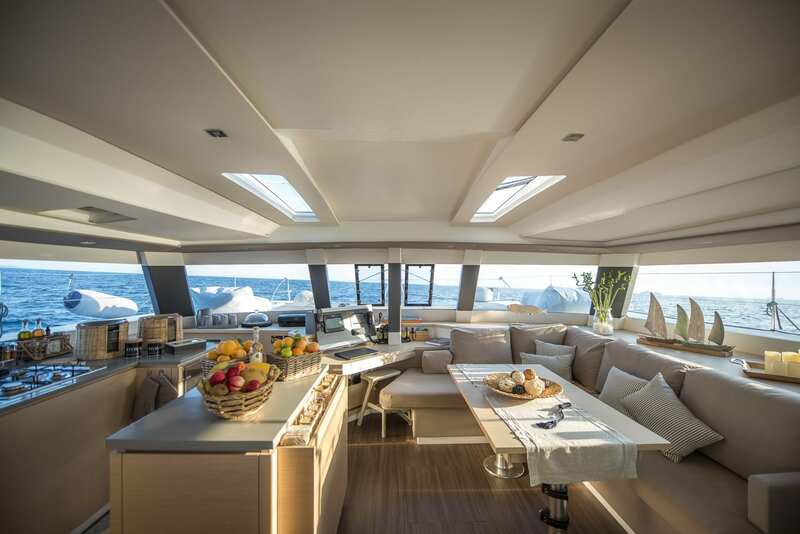 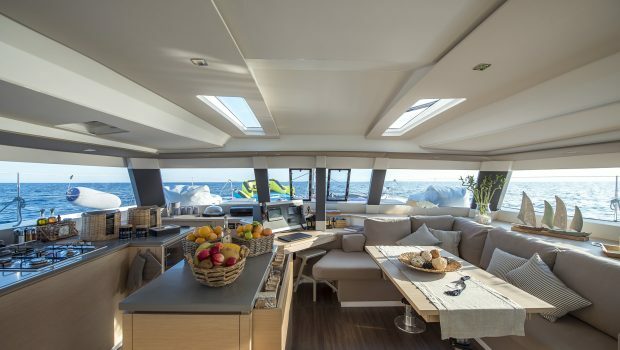 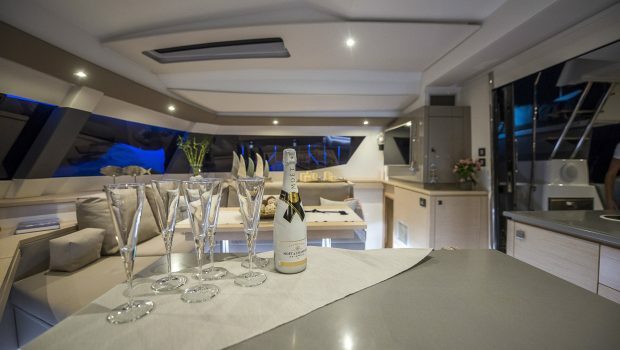 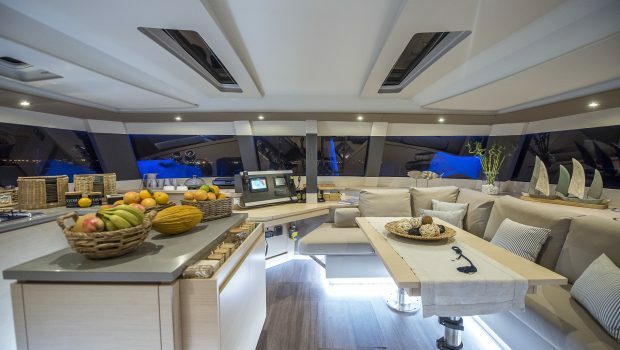 On of the main features of this Saba 50 are her surround windows both topside in her spacious saloon as well as below in her cabins, thus flooding the yacht with nature light. 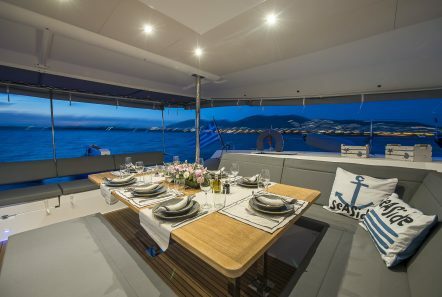 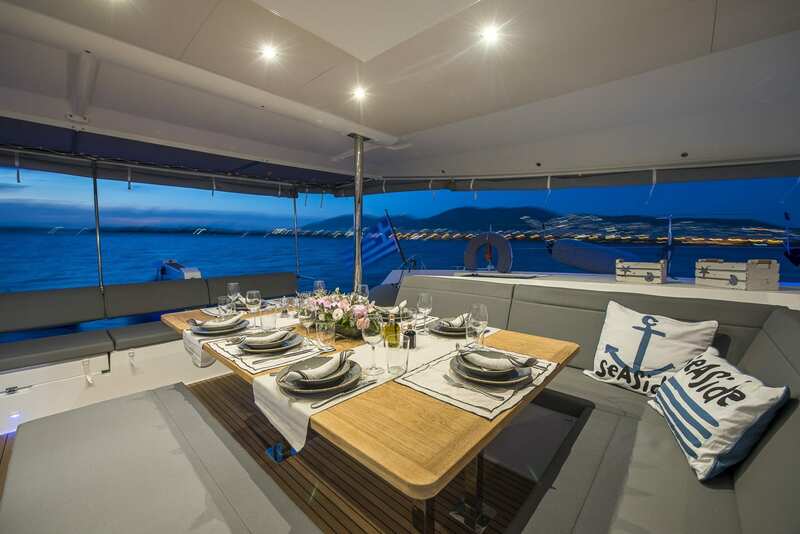 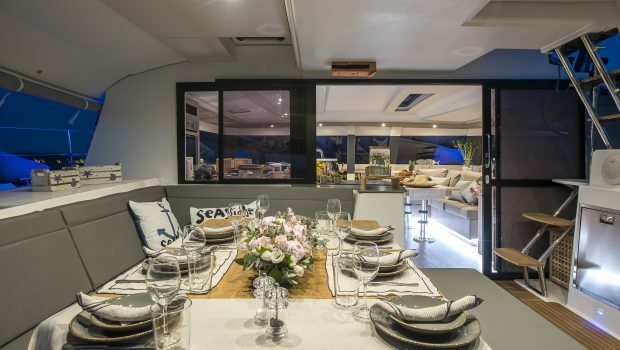 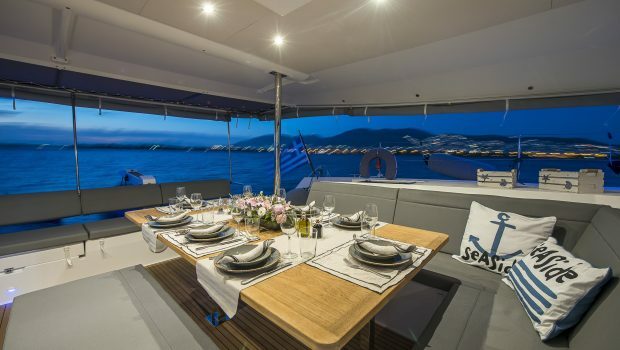 Her aft deck has a large dining table fully covered to dine el fresco while at anchor or at sea. 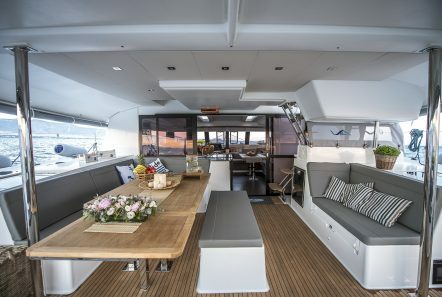 There is a bench seating area to the aft for comfortable seating. 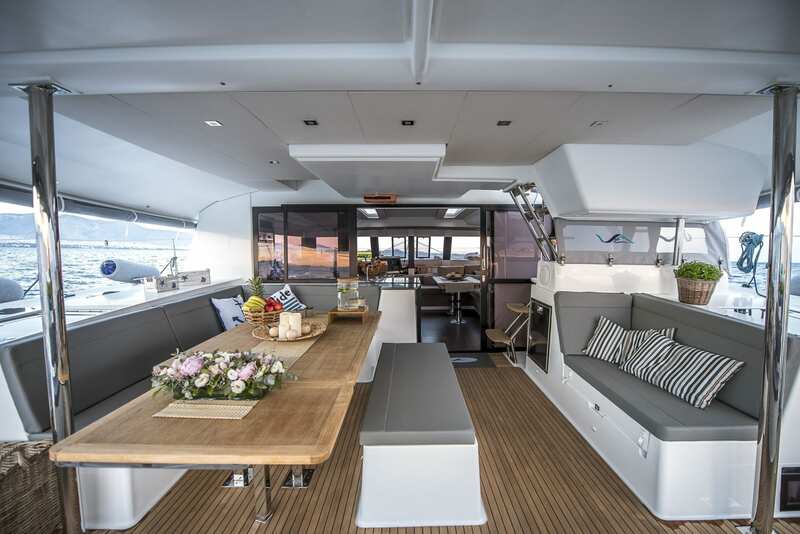 Her upper deck has marvelous cushions for fun and relaxation under the sun. 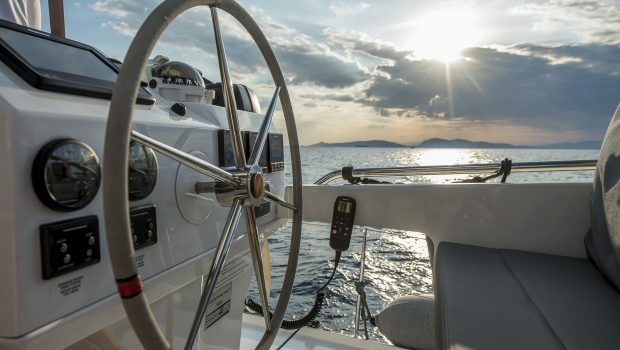 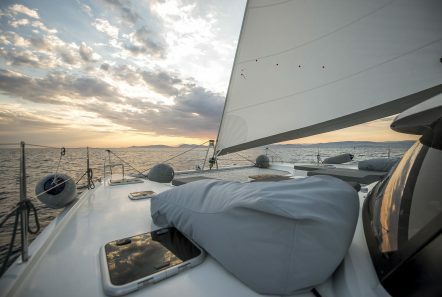 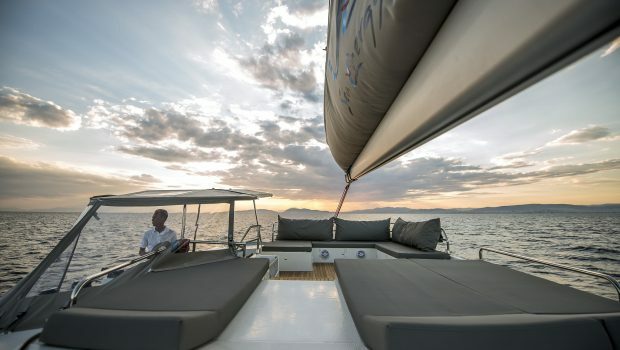 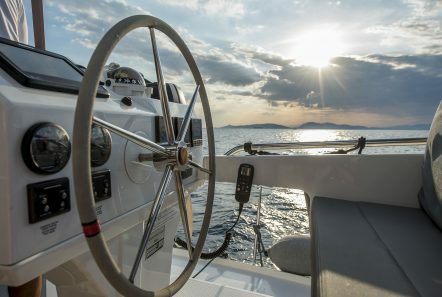 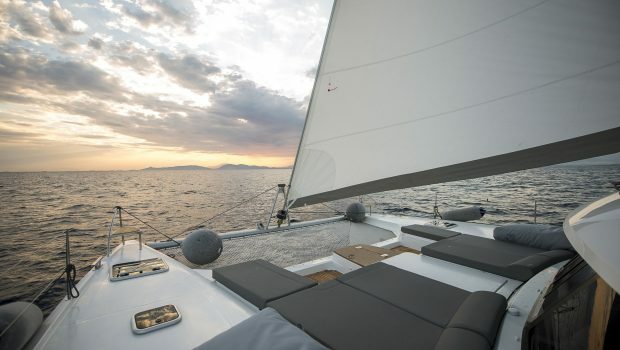 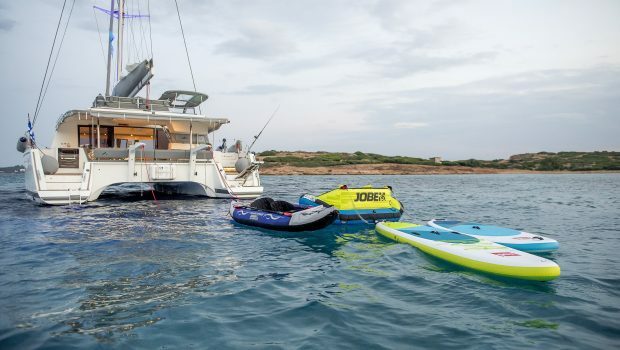 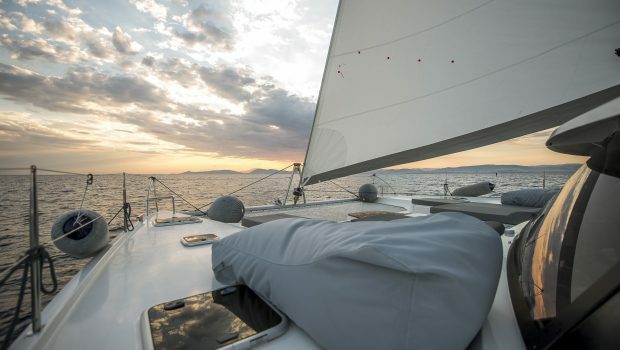 A rich collection of electronic appliances such as DVD & CD & MP3 music Library, WiFi and TV, outdoor and indoor audio systems and a lot more ensure the extra fun while sailing. 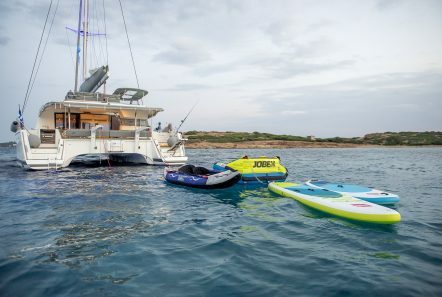 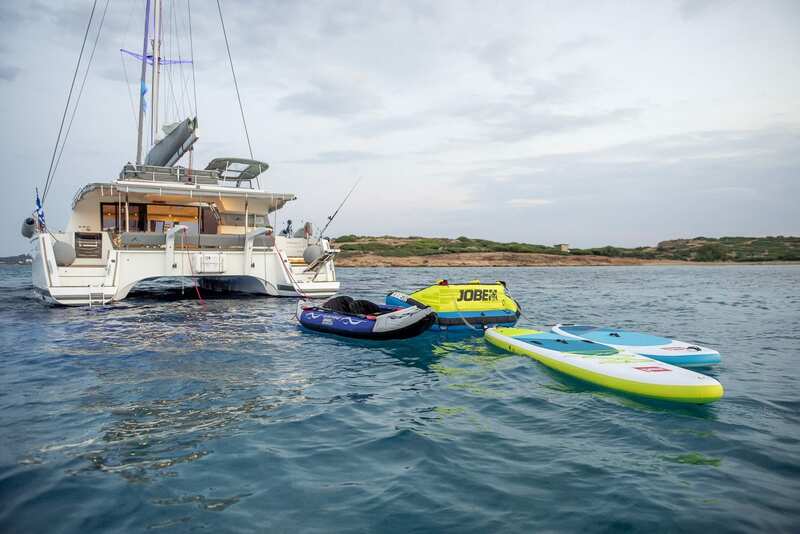 She has a wonderful selection of sea toys to make your time at anchor full of fun.